Although Google’s algorithm changed quite dramatically over the past few years, proper keyword research is necessary to creating great content. Although the days of keyword stuffing meta-tags on your webpages are over, keyword research is still quite important-it allows you to direct your content in a certain way as well as give search engines some clues about what your website has to offer. We’ve discussed the importance of context before. Creating context in your writing helps Google determine what your pages are about and how close to the top of search engine rankings your site should be. Context is everything-but without the proper keywords in place, you still can’t build context. Your content needs to be easily followed, interesting to your audience and well curated-and to do this you’re going to need some signal words that give both your audience and search engines an idea of a centralized theme. Until fairly recently, just about anyone could use Google’s keyword research tool in order to come up with a lengthy, relevant keyword list based on industry and page content. In the past few months, Google’s keyword tool has changed. The change now essentially forces you to look at keywords the same way Google’s Adwords program does. Keywords are now grouped together in tighter clusters with a more centralized theme. This further signals Google’s commitment to creating context-based results for its users. Your content can’t just be about individual keywords, but must involve these themes. When you’re creating content for your audience, ask yourself this: is there more than one keyword that would explain the theme surrounding your content? 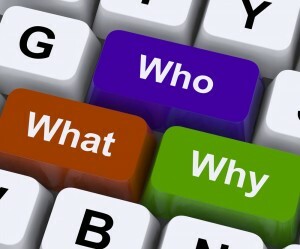 If you could sum up 4 to 5 different keywords, for instance, to explain your blog content, what would those keywords be? Considering context when creating content is absolutely critical to ensuring better placement in search engines. If your company uses Google Adwords, you can also translate the information and statistics you get from your blog readers over to your ad groups. Do certain readers respond better to content you created using a certain cluster of keywords? What copy insights users to take action when they read your article or blog? If you can answer these questions – and you can using Lead Liaison’s digital marketing analytics – you can determine ad copy that may work better for you in your Google Adwords ad groups. Lead Liaison’s writers create content using only the latest known technology in keyword research and contextual search science. Chat with us today about your site and let us come up with a strategy that will work for you! https://www.leadliaison.com/wp-content/uploads/2013/04/Lead-Liaison-Logo5.png 0 0 Lead Liaison https://www.leadliaison.com/wp-content/uploads/2013/04/Lead-Liaison-Logo5.png Lead Liaison2014-03-06 06:30:122014-02-25 21:56:47Is Contextual Keyword Research In?